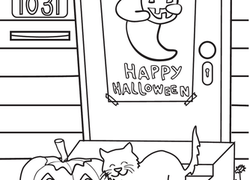 Make your day a spooky one with a coloring page featuring an impish flying witch. Trick or treat! Get ready for the cool breeze of autumn, and create a season-appropriate wardrobe for your own paper doll girl.